Idris Elba's troubled detective John Luther could be heading for the big screen, series creator Neil Cross says. The writer admitted the BBC TV series was "finished" because Elba had "gone on to be a big movie star", playing Nelson Mandela in the forthcoming biopic Long Walk To Freedom. But he said he hoped the character could be revived in a film prequel. "I've written the script and we hope to get the film made next year," he told the Edinburgh Television Festival. "Idris is a brilliant leading man and we've hoped to turn Luther into a movie for a long time. "It will follow his career in the earlier days, when he is still married to Zoe, and the final scene in the film is the first of the initial TV series." Making the film as a prequel would allow Cross to resurrect some of the characters who left the TV series, often in violent circumstances. The writer has already explored this territory in a novel, The Calling, which focuses on a traumatic case involving a child killer and culminates in the detective receiving a seven-month suspension. 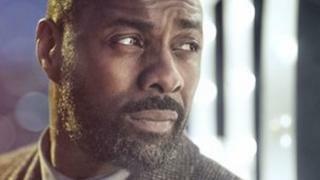 Elba has expressed an interest in turning the story into a film before, telling audiences at a Bafta preview for Luther's third series it was "definitely a goal". He said the film would explore "who Luther is and where he's come from". "We do want a new audience, but we also want to keep the fans interested, so we have to tread very carefully." Elba, who was born in Canning Town, east London, made his name playing Stringer Bell, the drug-dealing anti-hero of US crime series The Wire. He previously had parts on the West End stage and in Channel 5 soap opera Family Affairs before moving to New York to pursue bigger roles. The 40-year-old won a Golden Globe for best actor in a mini-series for his role in Luther, which made its debut on BBC One in 2011 and has become popular around the world. His co-star in the series, Ruth Wilson, may also be set for a spin-off show based on her character Alice Morgan - a murderer who becomes the detective's confidante. "The BBC is very interested in the project," Cross told Variety magazine last year. "The truth is I absolutely adore Alice! We're kind of thinking very loosely of a mix between The Talented Mr Ripley and The Last Seduction."